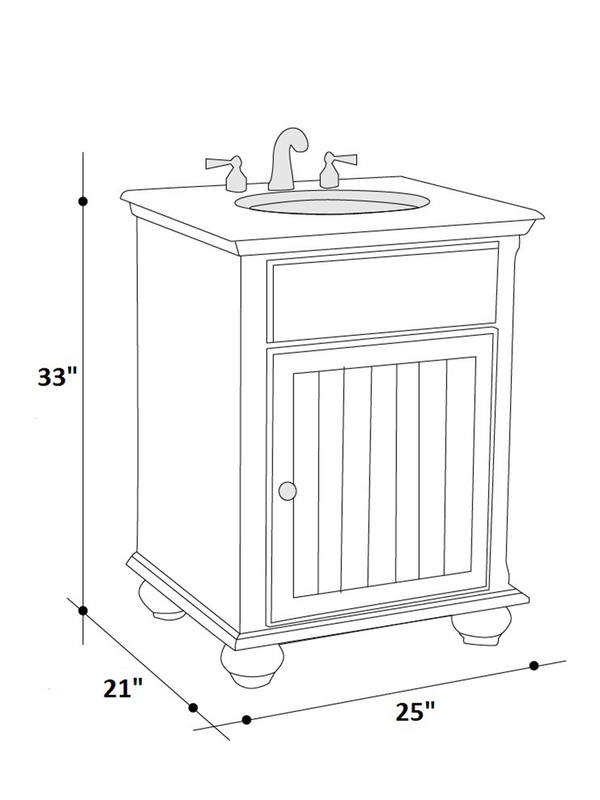 The 25" Glenwood Single Bath Vanity makes a simple, yet elegant statement for any bathroom. Its Antique Red finish is coupled with a gorgeous Dark Emperador Marble top, giving it an unparalleled charm. 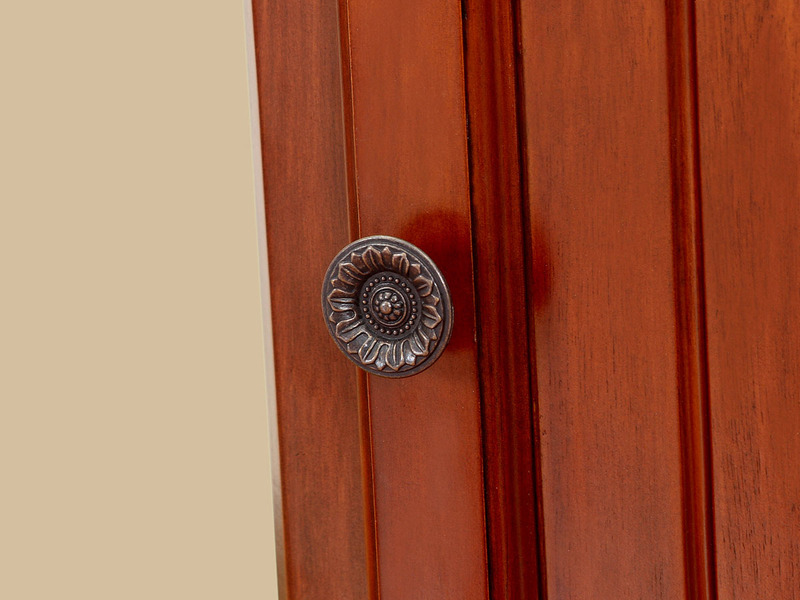 The cabinet is constructed of solid wood and features a single-door cabinet that's been accented with an Antique Brass door knob. Rounded legs elevate this vanity with elegance. 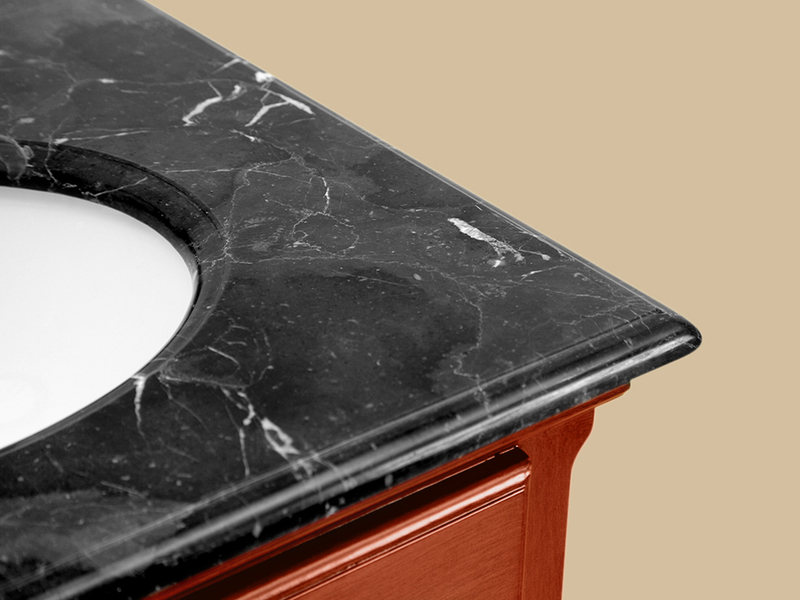 The top comes pre-drilled with three faucet holes and is equipped with a white undermount sink.